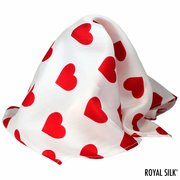 The signature heart print by Royal Silk® is timeless and unforgettable. Whether you are in the mood for romance or not, you’ll find this delightful silk pocket square to be one heck of a Cupid-like charmer. 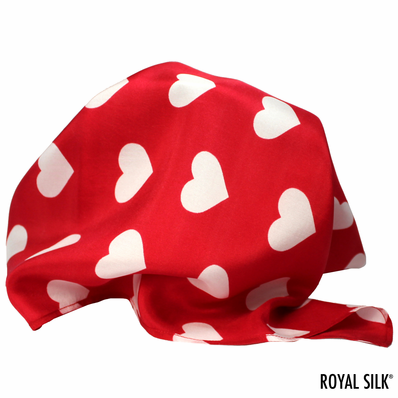 The signature heart print by Royal Silk® is timeless and unforgettable. It also works if you are in the mood for mystery, fun, or adventure. Or be bold by spritzing it with an amazing scent and sending it to your loved one. Or use this silk square as an elegant little wrap for fine gifts. Be creative and inventive. 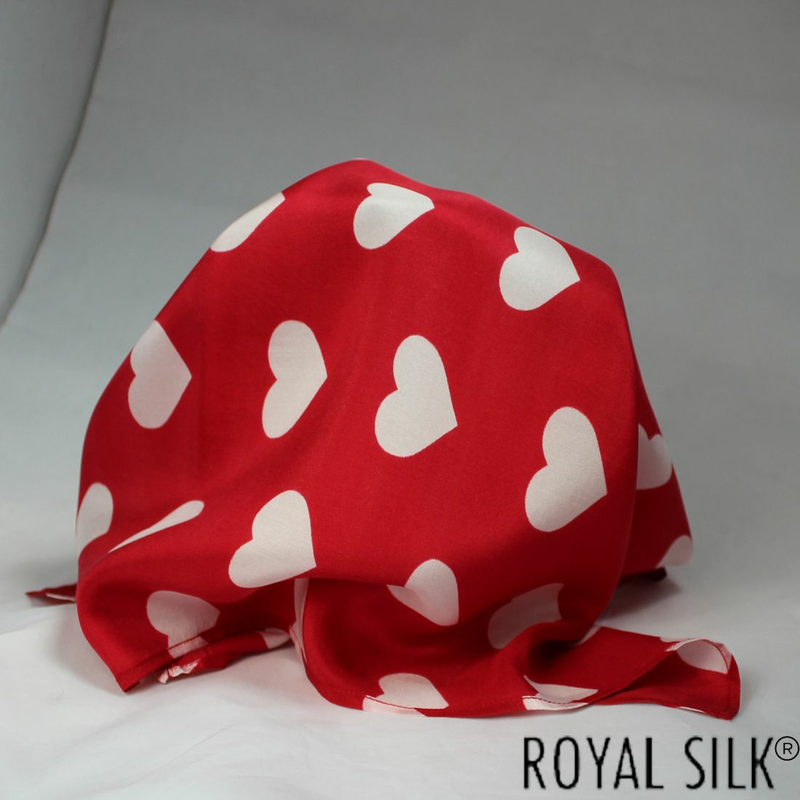 The Royal Silk® brand has provided affordable silk luxury to the world since 1978. Your satisfaction is assured and guaranteed.